The SSEP Mission 7 to ISS flight experiments payload Odyssey II is scheduled to launch tomorrow, Friday April 8, 2016, at 4:43 pm EDT from Cape Canaveral Air Force Station, FL, aboard SpaceX CRS-8. If there is a scrub, NASA will recycle to Saturday, April 9, 2016, with launch at 4:20 pm EDT. The launch will be covered live on NASA TV, and we have provided a video portal below if you’d like to watch right here on the SSEP National Program website. Also below is the April 5, 2016, NASA Media Advisory which provides NASA TV live coverage times for launch, and arrival at Station on April 10. To SSEP Mission 8 and 9 flight teams – consider this a dry run for launch of M8 Kitty Hawk on SpaceX CRS-9 and M9 Endeavor on Spacex CRS-10 later this year. SSEP – real spaceflight all the time. That’s what we promised. As of this writing, we are at T-minus 1 Day, 1 Hour, 46 Minutes and counting. Godspeed Dragon. NASA provider SpaceX is scheduled to launch its eighth Commercial Resupply Services mission to the International Space Station on Friday, April 8. NASA Television coverage of the launch begins at 3:30 p.m. EDT. The SpaceX Dragon spacecraft is targeted to lift off on the company’s Falcon 9 rocket at 4:43 p.m. from Space Launch Complex 40 at Cape Canaveral Air Force Station (CCAFS) in Florida, carrying science research, crew supplies and hardware to the orbiting laboratory in support of the Expedition 47 and 48 crews. NASA TV also will air two briefings on Thursday, April 7. At 1 p.m., scientists and researchers will discuss some of the investigations to be delivered to the station, followed by a briefing by mission managers at 3:30 p.m. The briefings also will stream live on the agency’s website. About 10 minutes after launch, Dragon will reach its preliminary orbit, deploy its solar arrays and begin a carefully choreographed series of thruster firings to reach the space station. The spacecraft will arrive at the station Sunday, April 10, at which time NASA astronaut Jeff Williams and ESA (European Space Agency) astronaut Tim Peake will use the station’s robotic arm to capture the Dragon spacecraft. Ground commands will be sent from Houston to the station’s arm to install Dragon on the bottom side of the Harmony module for its stay at the space station. Live coverage of the rendezvous and capture will begin at 5:30 a.m. on NASA TV, with installation set to begin at 9:30 a.m. The following day, the crew will pressurize the space between the station and Dragon and open the hatch between the two spacecraft. The Dragon spacecraft will deliver almost 7,000 pounds of supplies and vehicle hardware to the orbital outpost and its crew. 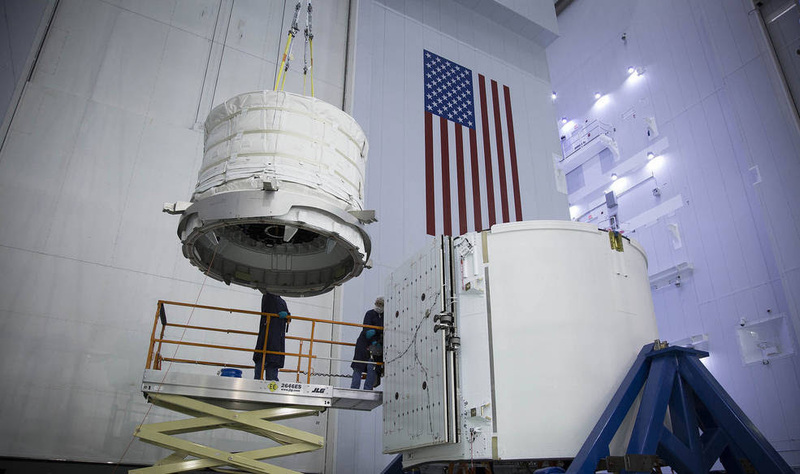 The cargo includes the Bigelow Expandable Activity Module (BEAM), which will be attached to the space station to test the use of an expandable space habitat in microgravity. Scheduled to return to Earth in May, the Dragon spacecraft will bring back biological samples from astronauts, including those collected during NASA’s one-year mission. The new experiments arriving to the station will help investigators study muscle atrophy and bone loss in space, use microgravity to seek insight into the interactions of particle flows at the nanoscale level and use protein crystal growth in microgravity to help in the design of new drugs to fight disease. Dragon is scheduled to return to Earth on May 11. About five-and-a-half hours after it leaves the station, it will splash down in the Pacific Ocean off the coast of Baja California. If the launch does not occur on Friday, April 8, the next launch opportunity is 4:20 p.m. Saturday, April 9, with NASA TV coverage starting at 3:15 p.m.